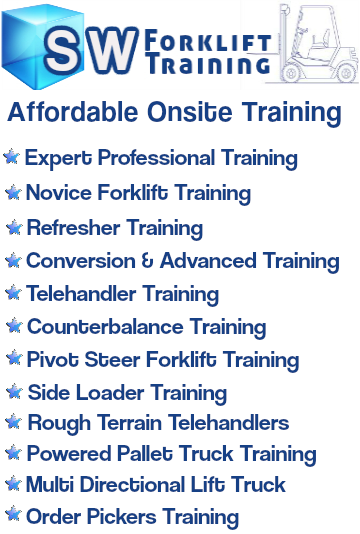 Mewps Training Cardiff Forklift Training Cardiff SW Training. Our MEWPs training courses are suitable for anyone who uses or will be using a mobile elevated work platform (scissor lift or cherry picker) in the materials handling industries or construction industry. Our MEWPs Training will train your employees on site on the machine or machines that they will be using in the workplace. We come to you and train your employees at a time suitable for your business, this results in minimal disruption in your workplace and less down time as it can be carried out when your business is in a less productive time of day. Mewps Training In Cardiff SW Forklift Training, Expert MEWPs Training In Cardiff Wales, The West Country and The West Midlands. • Identify the basic construction and components, and the purpose and use of all controls and gauges. • Identify and comply with manufacturer’s instructions in accordance with the operator’s handbook, other information sources i.e. duties charts, and applicable legislation (PUWER, LOLER). • Explain all relevant documentation. • Explain all displayed information on the machine. • Carry out pre-start and running checks. • Carry out emergency lowering procedures. • Operate controls from ground level, and from within the working platform. • Manoeuvre/travel the MEWP involving tight turns and limited access, using both forward and reverse motions. • Position the platform up to maximum working height. MEWPs training consist of theory and practical assessment. This is carried out at your own premises at a time to suit your needs. SW Forklift and MEWP Training are very flexible with times to suit our clients, at prices that keep our clients coming back time after time. This course is suitable for all users of MEWP and their supervisors. Previous experience is not required as we can effectively train your personnel on site. • Identify the basic construction & components of MEWP and understand the purpose and operation of controls and gauges. • Identify and comply with manufacturer’s instructions in accordance with the operators handbook and other relevant documents. • Explain all information displayed on the machine. • Operate controls from ground level and from within the working platform. • Manoeuvre the MEWP, involving tight turns and limited access. • Manoeuvre the MEWP with the platform in a raised position. • Place the machine in an ‘out of service’ position. • Explain the loading & unloading procedure on and off a transporter. MEWP Training Cardiff SW Forklift Training. Mewps Training Cardiff SW Forklift Training And Mewps Training For Wales, The West Country And The West Midlands.